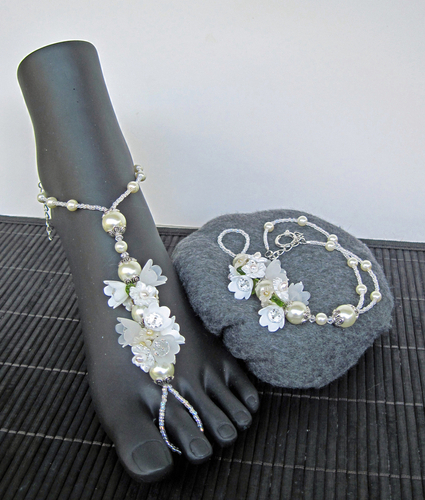 White and ivory vintage acrylic flowers, Swarovski crystals, glass pearls and seed beads make up these elegant barefoot sandals, ideal for a wedding on the beach. Silver spring clasp and extension chain. 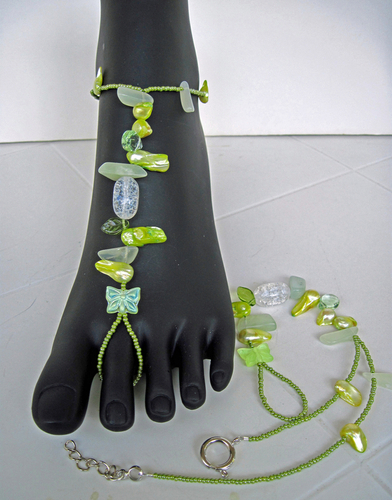 These barefoot sandals are made with lemon freshwater pearls, green Czech glass leaves, Czech glass butterflies and a cracked glass accent bead. Silver spring clasp and extension chain. 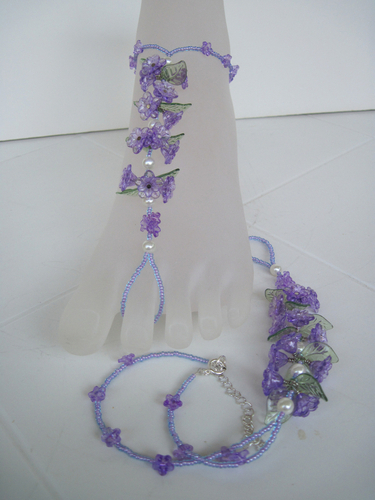 These barefoot sandals are made with purple acrylic flowers green and leaves, white glass pearls and purple seed beads. Silver spring clasp and extension chain.